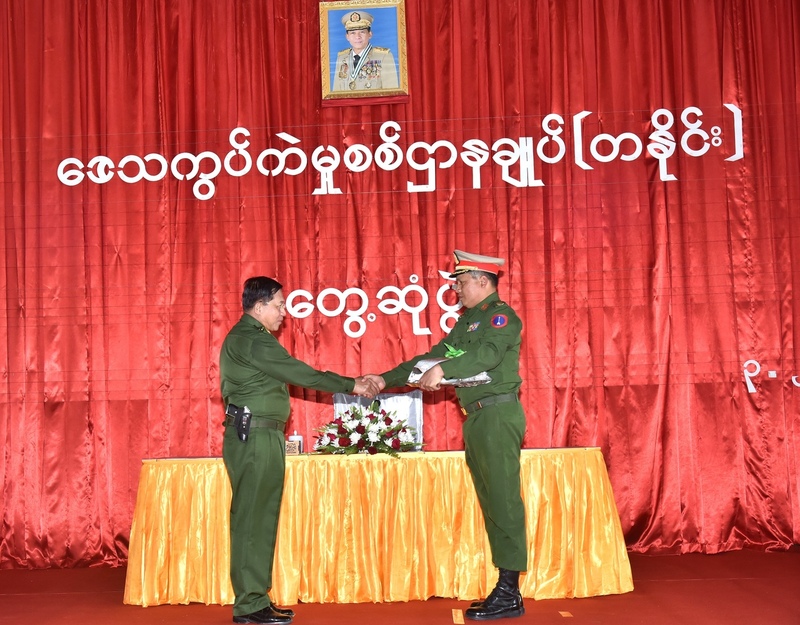 Commander-in-Chief of Defence Services Senior General Min Aung Hlaing met with officers, other ranks and families from Tanai Station of Northern Command this afternoon. 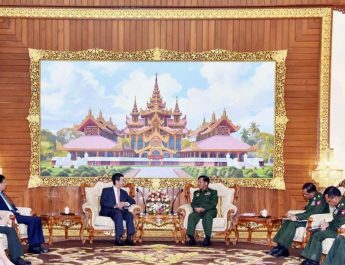 Also present at the meeting were his wife Daw Kyu Kyu Hla, Union Minister for Border Affairs Lt-Gen Ye Aung, Commander-in-Chief(Navy) Admiral Tin Aung San, Commander-in-Chief (Air) General Maung Maung Kyaw,senior military officers from the Office of the Commander-in-Chief (Army), Commander of Northern Command Maj-Gen Teza Kyaw, and officers, other ranks and families from the station. 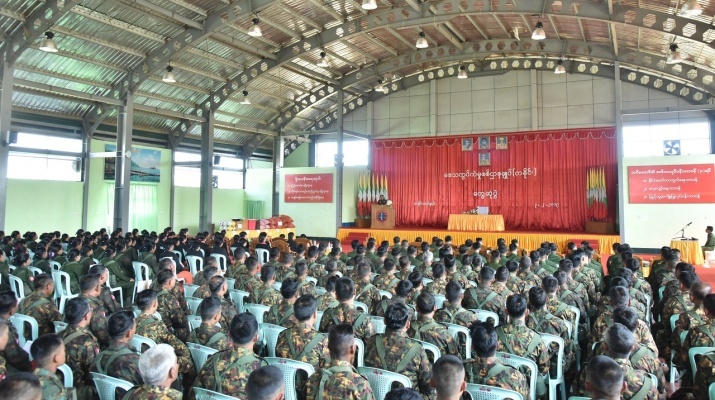 In his address, the Senior General said that the Tatmadaw has been carrying out the tasks of peace and stability of the State, rule of law, development and defence sector in successive eras since the time of regaining independence. The Tatmadaw faced many difficulties in its term of discharging State duties due to various sanctions imposed by foreign countries. The 2018 constitution was drawn to pave the way of multi-party democracy that the people desire, and the State power was handed over to the elected government in 2011. 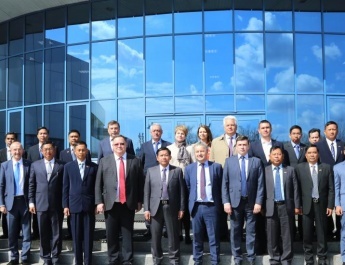 The Tatmadaw performs collaboration in ensuring securitybased peace and stability, political peace and stability, and development tasks of the State. The Senior General stressed the need to ensure systematic processes on the way of democracy. Tatmadaw members must give a helping hand to the local people any time without waiting for orders from the superiors at a time when locals face natural disasters. 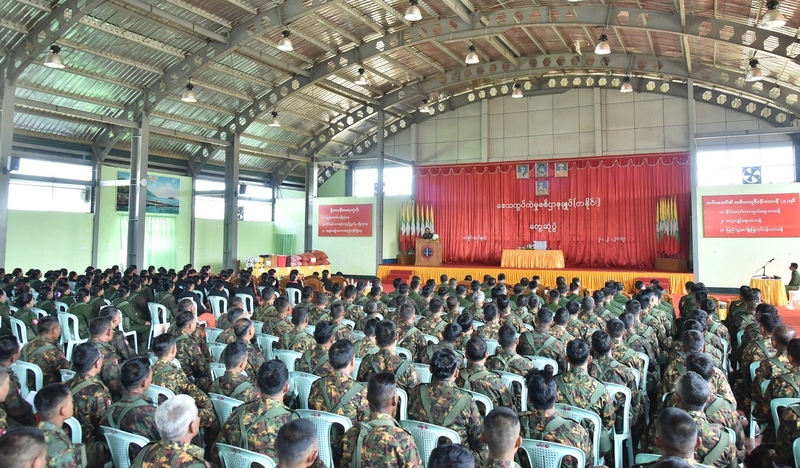 As the Tatmadaw is an important organization for the defence sector of the State, Tatmadaw members must live in unison with following disciplines, obedience,vertically mutual respect and spirit of good soldier. They have to abide by existing orders, promptings and prohibitions while following 60-point military code of conduct.Such undertakings will further strengthen the military unity. Moreover, relevant military units and headquarters need to take training for having better military capability. They have to carry out daily tasks correctly and dutifully. 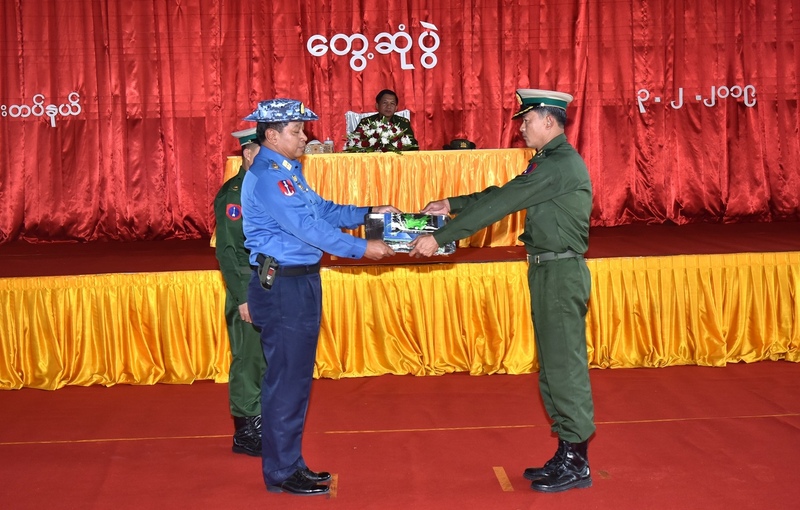 Education qualification is being improved for all Tatmadaw members in order to promote capability of the Tatmadaw whereas emphasis is being placed on fulfilling requirements of education promotion of wives of Tatmadaw members and their offspring as much as possible. The Senior General stressed the need always to read fiction and non-fiction books to have wider scope of knowledge. Efforts are being made to provide assistance for Tatmadaw members and families to enjoy better food, clothing and shelter. So also, military owned agriculture and livestock breeding farms are being operated to sell foodstuffs such as nutritious meat, fish, vegetables and eggs at fair prices to them. The Senior General urged them to avoid liquor, cigarette and chewing betel quid as well as narcotic drugs which harm their health and waste their incomes. They need to always take training to have health and fitness. As such, they will have to uplift State defence capability of the Tatmadaw. Afterwards, the Senior General presented foodstuffs for officers, other ranks and families, and his wife, cash awards for the station maternal and child welfare association to the commander of Regional Operations Command and wife. The Commander-in-Chief (Navy), the Commander-in-Chief (Air) and the Quartermaster-General handed fiction and non-fiction books, publications, sports gear and foodstuffs to the station commander and officials.After the meeting, the Senior General and wife and party cordially greeted officers, other ranks and families. On arrival at the local military hospital,the Senior General and party cordially comforted the servicemen in individuals in receiving medical treatments and presented foodstuffs. 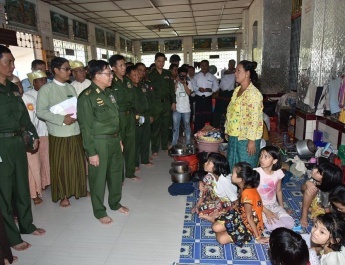 The wife of the Senior General cordially gave words of encouragement to families of the Tatmadaw members receiving medical treatment at the female medical ward and presented foodstuffs.